Unused Sewing Pattern - Quilt Block Club - Lesson 1 - Shirley Botsford Designs. 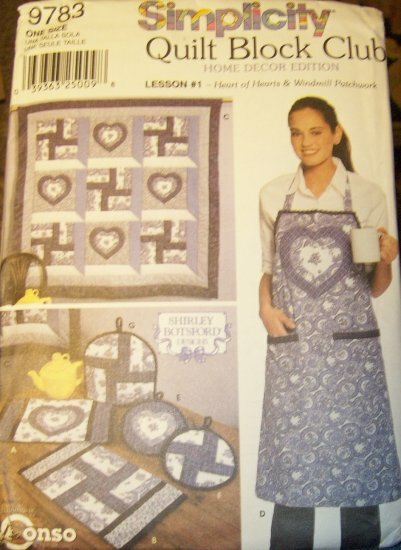 The design features a 57" square quilt, 12" X 18" place mats, 9 1/2" decorative pot holders, 12 1/4" tall X 12 1/2" wide tea cozy and apron in one size. Each pattern is checked by me and patterns 20 years or older are bagged in a ziplock bag.